"JPS Pavers" are a family run business with over 25 years experience. We specialise in all aspects of Block Paving, Driveway transformations, upkeep, repairs and maintenance. But we don't stop there. We also offer Garden Patio construction, Landscaping and all aspects of Fencing to wooden Gates. 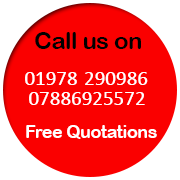 Based in Wrexham, North Wales we cover quite a radius including Wrexham, Chester, Flintshire, Llangollen, Oswestry and many other places. At JPS it is our upmost importance that you the customer are happy from very first point of contact right through to completion. Our friendly team are always on hand for any form of communication throughout the job and are happy to listen to any queries you the customer may have. With a wealth of experience we are confident that you will be happy. 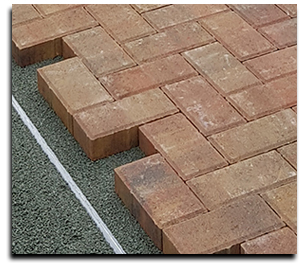 As Block Paving Specialists we believe that Block Paving is the ideal material for Driveways or even a Patio, as it is incredibly hard wearing and durable and can cope with lots of heavy traffic. The materials we use are of the highest quality and we are confident with the guarantee we offer with our work. Apart from specialising in Block Paving we also offer services such as Patio design, low garden maintenance, driveway repairs, cleaning (jet washing), Fencing and wooden gates. In fact why not test us and if you have a query just ask.